Haven't been here in ages but remembered again, so I thought I might as well showcase my fakedex-in-progress. 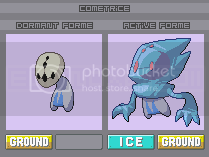 There's quite a bit done already, so thankfully I can just copy-paste the whole thing from the PC thread (in which everyone complains about typings and forgets the sprites :I ). They're all watermarked which is a way of saying "no, you can't use these". I'd be happy if you didn't steal the ideas/designs either! Designs are done by me and my older sister (some are mostly hers, some are mostly mine, others are collaborations). I'm doing all the spriting, not for any game/hack though because there's just too much work. I'm aiming to make a full dex (150~?). 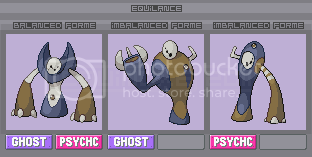 Dex entries, abilities and other stuff is in progress, plus the legendaries have a backstory-ish thing. I just noticed this. And it's one of the best Fakedex's I've ever seen. 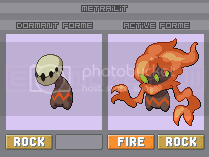 The Sprites themselves are great (perhaps better than me, even), but I'm even more fond of the concepts. They're all really clever and unique.